Errors happen during the entire web development cycle. And that’s perfectly normal. No matter how hard a team tries, errors creep into projects. But this means that there is always room for improvement. You’ll find hundreds of lists out there talking about mistakes that can be avoided during web development projects. However, most of these lists mainly deal with the managerial and technical aspects of the web development process. They rarely cover the other critical components, such as the stage of Quality Assurance (QA). In this article, you’ll find some insights on 10 bug tracking mistakes to avoid. The testing and bug tracking stage or the QA stage is a very crucial step in any web development process. It is at this stage that the prepared prototype or the newly designed website undergoes a thorough checking. You can’t launch a website with completely ignoring this stage. The logic is simple: when developers work on a project for several hours, it’s likely for them to go into “visual burnout mode”. A review from the feedback team helps to reveal issues in the prototype that were completely missed because the developer was concentrating on bigger problems. This feedback phase makes sure that every component of the website is functioning properly. This phase also checks the user interface of the website. 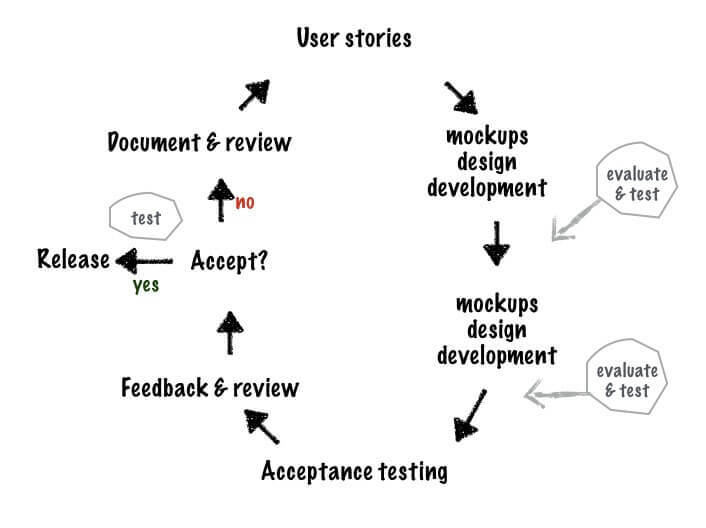 Usability tests are often part of this project stage. 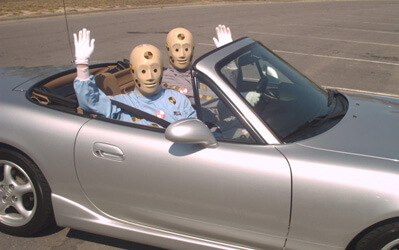 Imagine what would happen if a car dealer sells you an untested car. It will put your life and the lives of your loved ones at stake. Well, an unchecked website suffers not so drastic consequences, but negative feedback from your users can cost you revenue losses. And that’s the last thing you’d want. So, the QA stage requires gathering feedback from different parties involved in web development like the project manager, the client, your colleagues, and the designers. Gathering feedback requires a close interaction between the team and the client. And in every close interaction, there’s always a chance of misinterpretation. This leads to unexpected delays in project delivery, in budgets getting overshot and in frustrated clients and other stakeholders. That is why we’ll be talking about 10 bug tracking mistakes you can avoid. Number One: QA? Who’s got the time?! Developing a website is a huge project that requires a lot of work. Due to the intensity of the work, many teams don’t give the QA process the attention it needs and they might deliver a faulty website to the client. The result: the project might be their last project with the client and they can suffer negative publicity. Frankly speaking, you simply can’t overlook the QA stage. Unless you’re sure of your product, you can’t hand it over to the client. You’ve got to ask people for feedback regarding your product. You’ve got to know, understand and then further work with the feedback you received from testers, your colleagues, the client, and the client’s customers. Feedback is crucial and that is why your Quality Assurance stage is absolutely necessary. Once a website is ready, the development teams will ask for feedback from the parties involved. The team needs as much feedback as possible. That means all the parties involved present their feedback using their own ways of communication such as phone calls, messages, emails and sticky notes. They even provide the much appreciated coffee-break feedback. Obviously, this kind of feedback is subjective and more importantly, inconsistent. Much of this feedback isn’t properly documented. That’s when it becomes impossible for the team to work their way through this unorganized information. When you’re collecting feedback, be specific about your requirements. Before seeking feedback from people, send them an email containing all the crucial information on the website and its target customers. Explain to them the purpose of building that website, the profile of the target customer, consumer behavior of the target customer, and how the website helps in presenting a solution for the customer’s needs. Only after giving people a framework like this, will you be able to get accurate feedback. Number three: What’s happening at the other end? In today’s digital world, the workspace has changed. Companies are no longer sitting in one single location, instead, many employees work remotely. When such a widespread team works together on a project, simply relying on emails or chat for communication and collaboration is a bad way to go. A team can only be efficient and productive when each of its members is on the same page. This calls for a transparent feedback workflow. In the absence of a real-time feedback tool which is used, the team is likely to suffer from miscommunication that can cost you a lot of time and money. Your team should have a collaboration and communication tool that keeps each team member informed of the activities of the other person. Real-time communication tools break the space and time barriers between team members. It is best to encourage the team to use visual communication methods like taking a screenshot of the problem and then sending the feedback to the right person. When you’re communicating visually, the person on the other end will immediately understand the issue without having to read through tons of text. “I assumed you would do the bug tracking” or, “I thought this was already included.” Do these statements sound familiar? 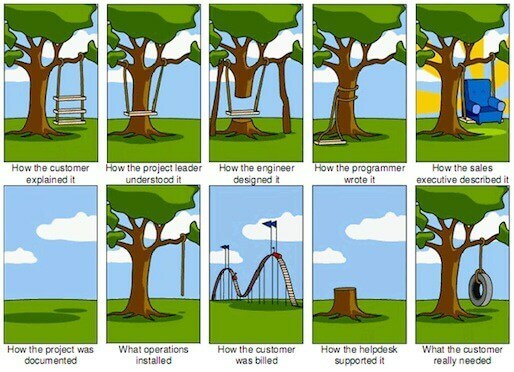 Unfortunately, these phrases are quite common during a project’s quality assurance phase. This shows that team members are working without considering what’s going on with the rest of the team and simply make assumptions. However, when a client entrusts you to develop a website, nothing should be left to assumptions. There’s no place for verbal communication. Document everything that’s agreed upon and keep everyone in the loop. Period. Number five: Customer feedback, huh…who cares?! Your customer asked you for an apple and you delivered an orange. That’s when it starts costing money. It’s simply because you didn’t ask the customer for their feedback at every stage of the website development. Make sure that you maintain a strict and frequent level of communication between your team and your client. Your team is not creating a website that they “feel” looks good. They’re creating a product entirely based on the instructions and needs of the client. Talk to your client, and keep them informed about every step the development. Share a dashboard with the client where they can interact with the team to get the latest updates and send their feedback. If feasible, also go for a beta launch. Select your sample from the client’s target audience and test, test, test! Number six: Waiting until it’s finished. If you’re waiting to start your testing process after your design and development stage is complete, you’re probably waiting too long. There’s a good chance you might run into unpleasant surprises at the eleventh hour. You’ll end up overshooting your deadline and budget. Testing and feedback should begin as early as possible. Evaluate and test in every project stage. It might cost you a few bucks but if not done early in the lifecycle of the product and if things go wrong, it’ll cost you a truckload later on. Your testing team has found bugs and they report them back to the developers. But if you’ve got an improper or a poor way of reporting these bugs, it’ll lead to a lot of unpleasant scenarios. Wrong reporting will lead to either fixing the wrong problem or fixing of the right problem, but in the wrong way. And that’s clearly something you don’t want. You need a consistent and proper way of reporting bugs. You can use tools like Usersnap for managing bugs and collaborating on feedback. With annotated screenshots and bug reports you’ll see what your users and testers saw. A good example of this is web design. Web designers are generally well aware about how to create a nice design and apply this knowledge to any project. However, the choices they make won’t always be the right ones even though they might be pretty. The testing team then sometimes makes the mistake of giving immediate advice on this issue without waiting for more feedback from other sources. Maybe the design needs a marketing expert’s input? Or someone from your customer support team needs to take a closer look? Make sure each element gets feedback from the right person. Even though both the front-end and back-end of any application are equally important, the testing team usually focuses more on the functional aspect easily ignoring the performance testing. So, the development team gets very little feedback on the front-end performance of the web page until it’s made available to the public. And this leads to issues with the user interface. Each phase and even sub-phase of a web development project are of critical importance. The testing team should make sure that they’re not ignoring any part of the project. Try and plan ahead for each testing phase. There can be no 100% bug-free applications. There will always be some sort of limitation in the design and operation of any application. Many testers, therefore, do not report unimportant bugs. Sometimes this might lead to a bigger issue later on when the website is fully up and running. Unimportant bugs should always be logged; the difference is made with the priority you give them. An experienced tester understands the difference between a good practice and a bug. They also understand the importance of giving a bug relevant priority. Collecting feedback and tracking all bugs are important stages in web development. There’re a lot of ways of getting feedback, be it in person or through a software application. Not fixing bugs can be costly, so the bottom line is that it’s worth the time to collect detailed and thorough feedback on your web project as much as possible, in a well prepared and structured way.